Another excellent Cobra trooper from the ongoing G.I. 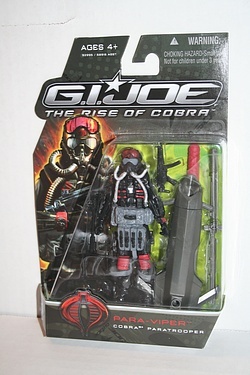 Joe - Rise of Cobra line is the Cobra Para-Viper. Packed with accessories as all of these later model figures seem to be, the Para-Viper is another semi-hard to find figure that is worth the hunt. Click the image for more shots and the complete bio!